Earth will be hit by an asteroid in future, similar to the one that killed off the dinosaurs that will wipe out most, if not all forms of life. This will happen with a 100 percent certainty, say the B612 Foundation. While that might seem like they are a group of paranoid, conspiracy theorists, the Inquisitr points out that they are made up of former astronauts, astronomers, engineers, and scientists. B612 calls themselves an organization that, "that works towards protecting the Earth from asteroid impacts and informing and forwarding worldwide decision-making on planetary defense issues," according to their site. B612's philosophy is a mix of history and technology, notes the report. 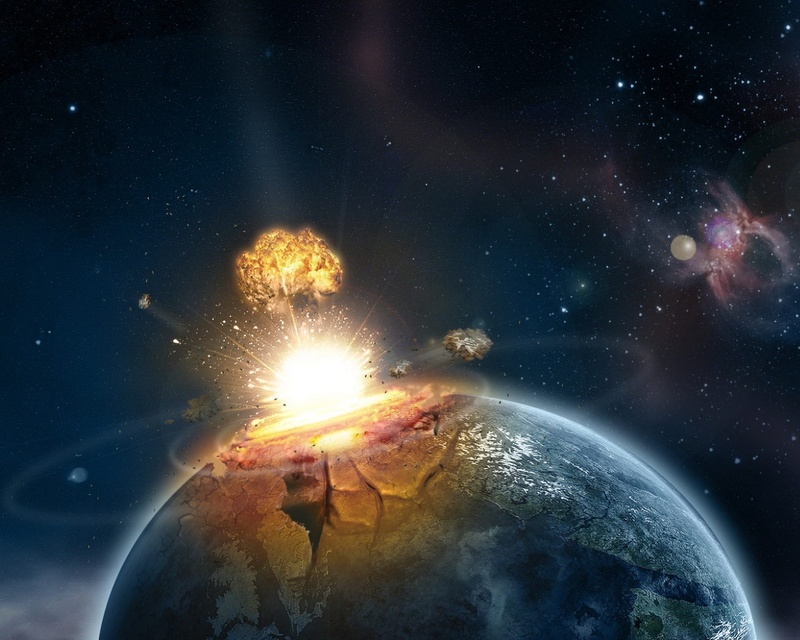 They say that asteroid impacts have happened to Earth several times in the past and at least once –the KT event– came close to completely wiping out all forms of life on the planet. It is this event that put an end to dinosaurs on the planet, allowing warm-blooded mammals to take over the planet. From a science point of view, notes the report, both government agencies like NASA as well as amateur astronomers have been staring at the night sky, attempting to look for asteroids for several decades now. NASA has, according to this report, identified 90 percent of asteroids that are big enough to cause concern and also be on a collision course with Earth. It is the remaining 10 percent that is worrisome, says B612. That leaves millions of doomsday rocks simply floating around space with the power to kill Earth. Also, NASA looking at asteroids and tracking them is one thing, but actively doing something about it something else. If even one of those asteroids gets past Earth's telescopes, that could spell bad news, says the president of B612 Danica Remy.